2010 BEST RESTAURATEUR IN THE U.S.
Wolfgang Puck was arguably America's first celebrity chef—and between his high-profile restaurant empire, his annual Oscars fête and his in-demand catering services, he's arguably hosted more A-list actors, rock stars, politicians and various other VIPs than any other restaurateur in the country. "Wolf," as he's known to friends, first revolutionized L.A. dining in the '70s at paparazzi playground Ma Maison, Patrick Terrail's storied eatery. When he opened the original Spago on the Sunset Strip in 1982 with restaurant designer Barbara Lazaroff (his wife at the time), his coterie came with him. People were clamoring for his pioneering blend of French technique fused with California Cuisine, innovative interpretations of dishes from his native Austria and, especially, his gourmet pizzas—grocery store freezers have never been the same since. He did it again the following year with Chinois on Main; while Asian fusion is now a very familiar genre, at the time, there was nothing like it. 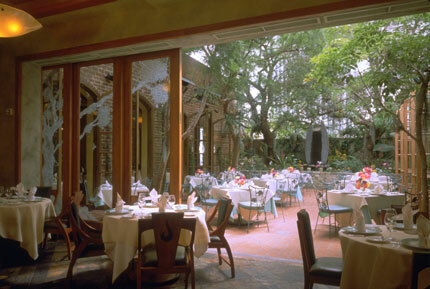 Some of his other Los Angeles restaurants have come and gone including Granita, Eureka Brewery and Vert, but others like CUT have become institutions. Together with his longtime business partner Lazaroff, they established the annual Meals on Wheels benefit event, the American Wine & Food Festival. After more than a quarter century, their philanthropic efforts have raised more than $15 million. Puck is also credited with helping to establish Las Vegas as a culinary destination. Chefs the world over now have sometimes multiple outposts in this desert dining mecca, but before Spago, the only thing Sin City was known for food-wise was cheap buffets. And it's not just Las Vegas and L.A.; Wolf now owns restaurants coast-to-coast, from Atlantic City to Maui, and around the world. And when he's in town, he's a skilled dining room schmoozer. 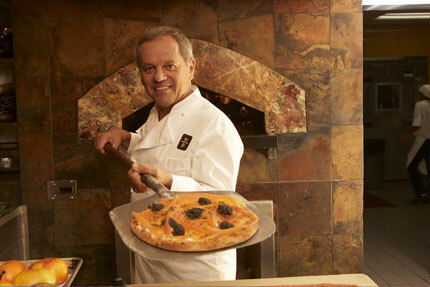 Wolfgang Puck is also a highly regarded television personality, cookbook author and newspaper columnist.